A trip to the nation's capital lets you discover the USA's past, present and future. Arlington, Virginia was once part of the national's capital when it was founded in 1790. You can still see some of the 200-year-old “boundary stone” markers showing Arlington was once part of the original Federal City designed by Pierre L'Enfant. This connection to the nation's capital remains today in our history, attractions and everyday life. You can find Civil War artifacts throughout the county. Get a glimpse of how the middle class used to live during Virginia’s Colonial era at the Ball-Sellers House Museum. Built in the 1740s, the house is the oldest structure in Arlington and portrays the lives of its historic residents like farmer John Ball and his family. You will also hear about William Carlin, a tailor for President George Washington, who also lived in the house back then. Learn how Union soldiers protected Washington, D.C. during the Civil War at Fort C.F. Smith, which was constructed by Union Troops in early 1863. You can see the ruins of fort in the 19-acre park, which also includes a restored 20th century mansion (available for weddings and meetings), a forest, meadow, and gardens. Arlington's most famous historical site is arguably Arlington National Cemetery. The grounds of Arlington National Cemetery honor U.S. service members. Visitors can see the time-honored ceremonies, take in the scenic landscapes, and wander through the monuments. 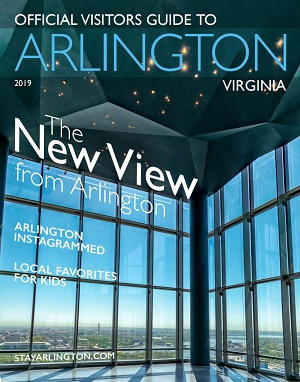 Check out the Arlington Historical Museum where you will find model of a local Native American village, local Civil War artifacts, Arlington's first television (a Dumont! ), and artifacts from the Pentagon.